If you've looked through our website you will have seen that we love shooting weddings at Graydon Hall Manor. We have featured many images taken over the years at this fabulous venue and you can look through our portfolio for all sorts of interesting ideas. 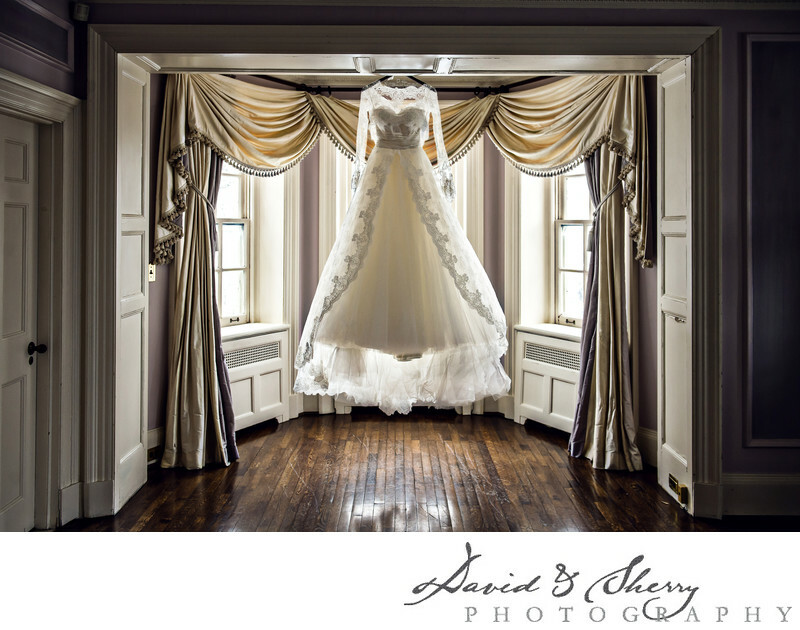 One of the reasons we love the mansion so much is the bridal preparation room upstairs. This cozy yet elegant room offers enough space for the bride, while giving the girls a large space and couch just outside of it to relax while she finishes her hair, makeup and gets into her wedding dress. The whole upstairs area is reserved for the bridal party and it gives us as photographers a wonderful opportunity to create interesting and unique photos of the bride getting her makeup done or composing beautiful traditional portraits of the bride once she has been perfected. The hardwood floors, lush carpets, decorated walls and balcony that overlooks the back terrace make it a compelling place to have the finishing touches put on before going down the grand staircase, down the aisle and on your way to saying I do. If you haven't yet seen this space and are in the process of selecting your venue, go have a look and see for yourself why it is so wonderful.